Noontime temperatures Europe – Major cities temperature #weather (Temperaturile pranzului in Europa). 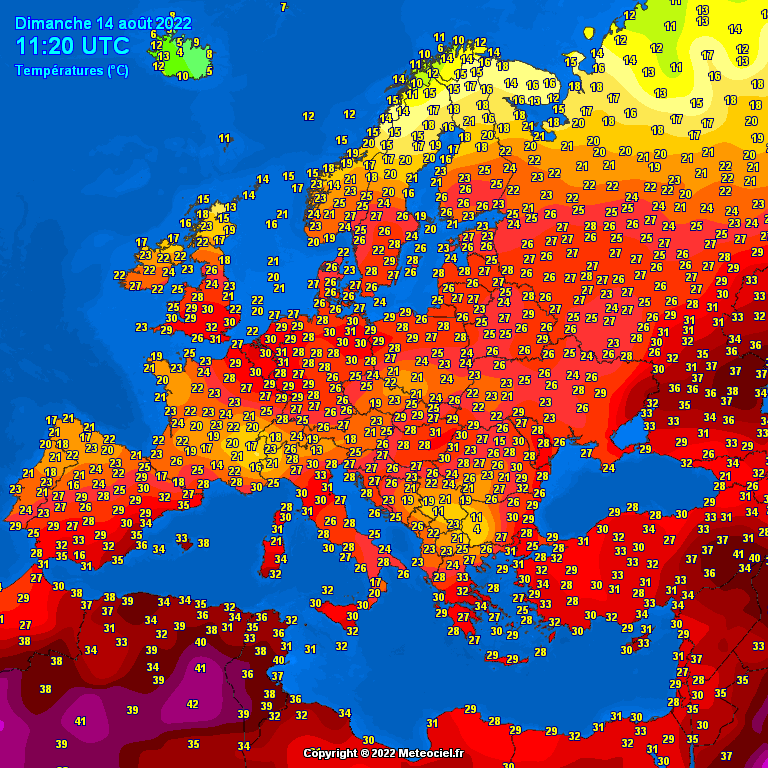 Europe midday temperatures are found in the following chart. Europe main cities. Noontime temperatures Europe. Temperaturile pranzului pentru Europa se gasesc in urmatorul grafic. Principalele orase europene. Downloading of any data from this server implies that you accept that the use of this data is only for personal, research or educational purposes. Do not use for flight planning purposes. StiriMeteo declines any responsibility for the usage of this data.